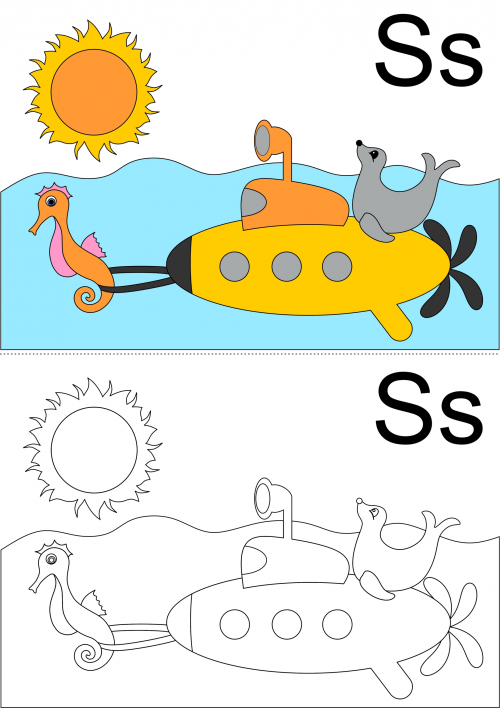 It’s a sea-themed, letter ‘S’ coloring page, that will have your child working on their fine motor skills, and their s-word vocabulary. Before coloring, have your child look at the original picture. Are they able to name the sun, seahorse, submarine, seal, and sea?